InTENSity™ units are the best in class when looking for an electrotherapy device. This entire line features the latest 105mA processor, which is the strongest in the industry, allowing a full range of power settings for the perfect therapy that is right for YOU. 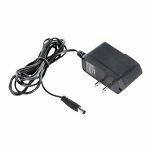 Most units even come with an included AC Power Adapter, making it easy to use at home without draining the battery. A large, easy-to-read LCD screen comes standard as well. On the InTENSity™ 10 model, as well as the new and improved 2nd Generation models, you can even set your therapy by specific body part icons. 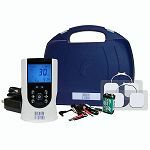 This line offers TENS, EMS, IF, Russian Stim, and Microcurrent therapies, everything you need for immediate, and effective, pain relief treatment. Electrodes & TENS accessories and other products can be ordered without a prescription. 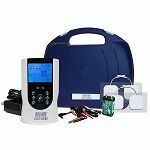 To purchase any electrotherapy device including TENS and EMS, a prescription is required by the FDA unless products are being ordered by health care professionals. If you are a licensed health care professional, you do not need to have a prescription, but when ordering just enter your profession (MD, DO, DC, PT, DVM, PA, NP), license number, state issued, and any other relevant information here. Please be cautioned that all of our electrotherapy devices are Class II Medical Devices and the Federal Law restricts the sale of these devices to or by the order of a licensed health care professional. If you have a prescription, please fax it to (314) 474-0843 or have a health care professional send us an email prescription order to RX@tenspros.com or fax it to us directly.